Our demonstration sites have so far acquired over 2.8 million quality fans without the use of promotions or incentives. The fans are acquired using our curated content solution. Provides fans with the hottest trending celebrity news, daily. Also allows users to easily share celebrity-themed content within Facebook. 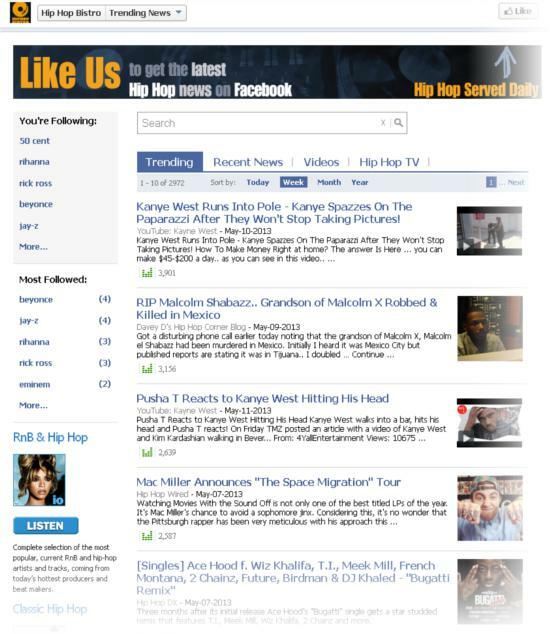 Provides the hottest trending Hip Hop news daily and allows users to easily share Hip Hopcontent on Facebook. 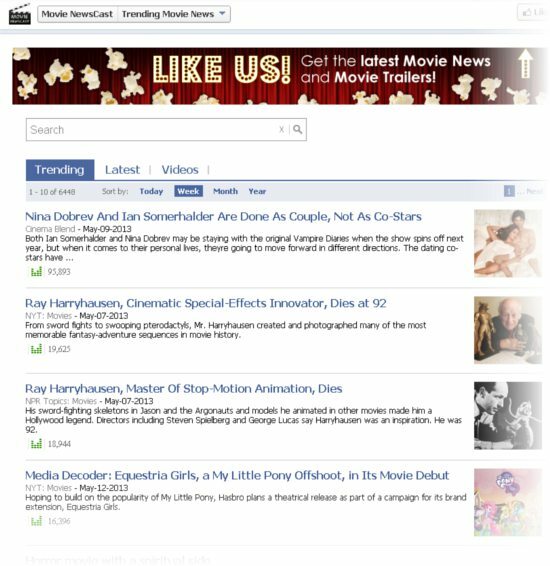 Provides the hottest trending movie news daily and allows users to easily share movie content on Facebook. 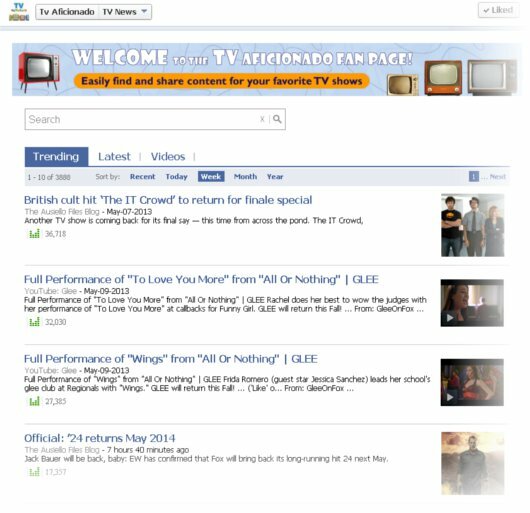 Provides the hottest trending tv news daily and allows users to easily share tv content within Facebook. 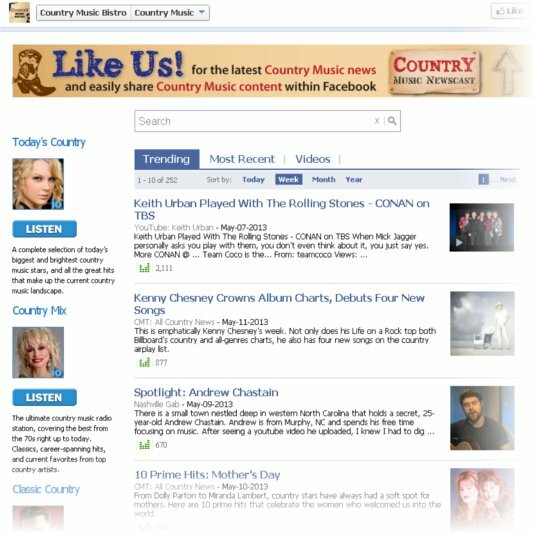 Provides the hottest trending country music news daily and allows users to easily share content on Facebook. 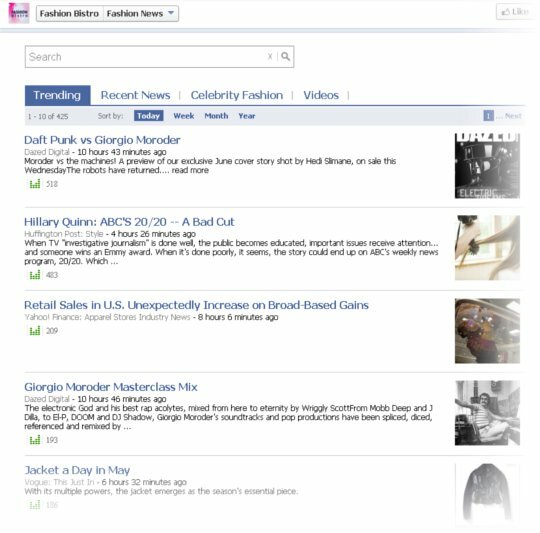 Provides the hottest trending fashion news daily and allows users to easily share fashion content within Facebook.